The development and adoption of clean energy, particularly from renewable sources, is on the rise as a strategy to mitigate greenhouse gas emissions. Wind power is one of the resources that countries in Latin America have turned to in order to diversify their energy mix and make their energy supply more sustainable. 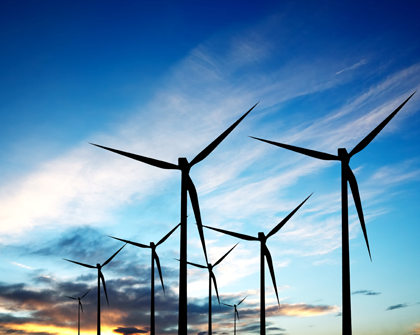 According to recent data from the Global Wind Energy Council (GWEC), investments in the clean energy sector reached US$329 billion globally in 2015, a 4% increase on the previous year. By the end of that year, the new global wind power capacity was 432.9 GW, with a cumulative market growth of over 17%, largely driven by new installations in China. The GWEC is optimistic about the prospects in Latin America and the Caribbean. After the Paris Agreement at the 2015 United Nations Climate Change Conference (COP 21), “the demand for clean energy, bolstered by concerns for energy security and diversity of supply, is promoting the growth of wind power,” says a GWEC report. According to this document, the region will reach 30 GW of installed wind power capacity by 2020. In 2015, for the fourth year in a row, the Latin American market installed around 1 GW of new capacity. The region is certainly diversifying its energy matrix by adding renewable energy sources such as solar, wind, and biomass. Uruguay began the process in 2005. At that point, “we were 15 years behind: there was no investment in the electricity sector and we were very vulnerable due to our dependence on hydropower and petroleum imports,” says Olga Otegui, national director for energy at Uruguay’s Ministry of Industry, Energy, and Mining. Uruguay worked on several fronts to turn this situation around: it explored energy development based on its own renewable resources; the local regulatory framework was adjusted to include new sources of renewable energy in the electricity mix; the environmental regulations that underlie renewable energy were studied in detail; and the country stimulated investment financing for this new sector by providing banks with information and developing different instruments to promote energy efficiency. The state “decided to hold annual energy generation tenders and committed to guaranteeing an energy purchase price with 20-year contracts. It also worked to develop synergies with suppliers of inputs and local components,” Ms. Otegui said. Just over 10 years after this policy was adopted, in 2016, 22% of Uruguay’s energy supply came from wind power. By the end of this year, it is estimated that the country will have a total installed capacity of 1,500 MW and more than 20 wind farms in operation. “We have also managed to bring down petroleum imports, which used to account for 60% of our energy imports but now only represent 37%,” Ms. Otegui said. In Mexico, wind power represents 4.5% of the country’s installed capacity and 3.05% of its electricity generation. According to Mexico’s Ministry of Energy, the country is aiming for 20% of its electricity to be based on clean energy by 2018, with a growth of 30% for 2022 and 35% for 2024. During the first half of 2016, some 432 MW of wind-based electricity went online, “which represents a 15.68% increase,” according to a report from the ministry. The Wind Power Database indicates that Argentina now has 24 wind farms in operation. The largest of these is Parque Arauco, in La Rioja province, which opened in 2011. It currently has a capacity of around 100 MW and expects to increase this to 400 MW. By creating jobs and improving capacities that support economic growth, efforts to adopt clean energy may have a positive impact on the region’s productive matrix. [V2]Soledad, el original decía 2012 pero creo que querían decir 2022.